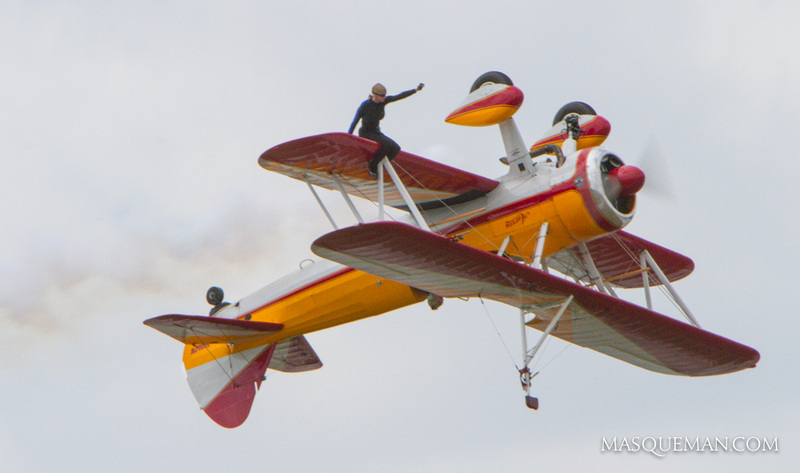 Tonight, I heard the news of a tragic air show crash in Dayton, Ohio involving Jane Wicker and her pilot, Charlie Schwenker. 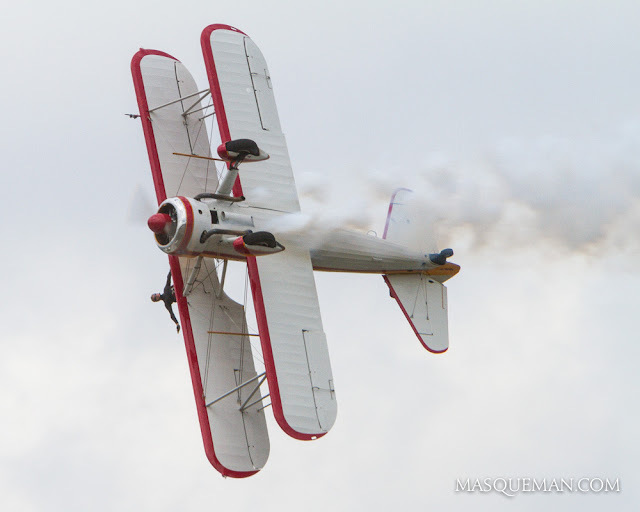 They were performing an exhilarating show of wing walking involving rolls, loops, inverted flight and all kinds of crazy feats of athleticism and aerobatics. The crash video can be found on YouTube, but I will not list it here. It is a sickening sight of something going terribly wrong. The experts can decide if it was mechanical malfunction, pilot error or freak accident, but that is not what this blog is about. 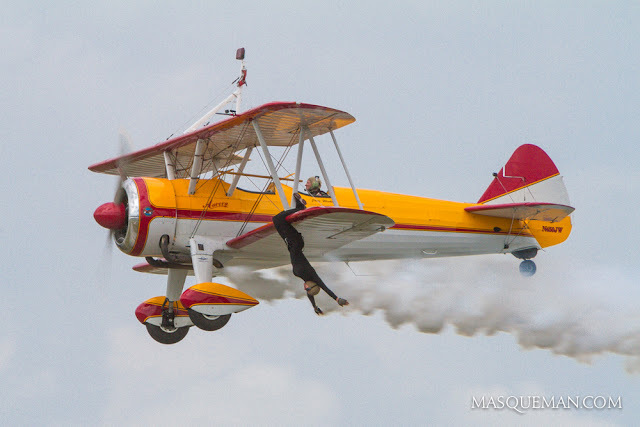 I was lucky enough to see Jane Wicker perform at the 2013 Sun & Fun Fly-In at Lakeland, Florida, and wanted to pay tribute to her in the photos I took that day. I think she was incredibly daring. She will be missed by those who knew her and the spectators who got to witness her amazing acts of bravery. Good bye Jane and Charlie.